Lot # 249: 1909-1911 T206 White Border Ty Cobb Portrait Red Background - Cycle 460 Back! 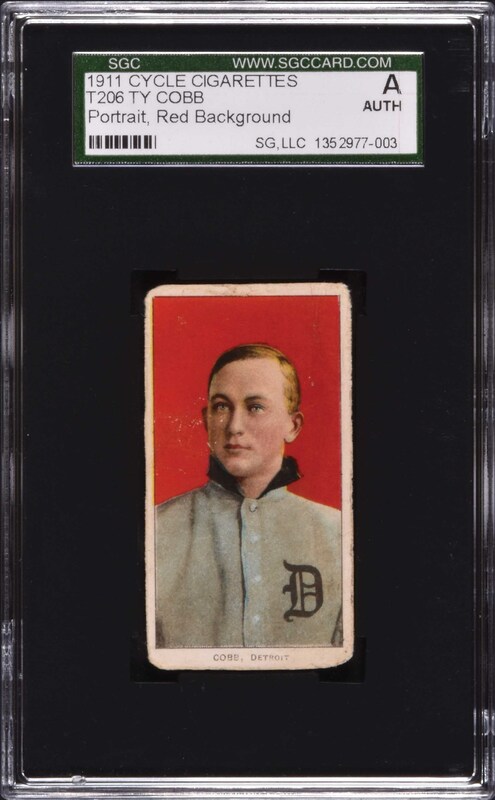 Exceptional T206 White Border of Hall of Famer Ty Cobb (portrait, red background) with a very desirable Cycle 460 advertising reverse, ranked by T206Resource.com as the seventeenth toughest back (with some almost impossible backs like Ty Cobb, Brown Old Mill, and Brown Lenox ahead of it). The T206 Ty Cobb portrait, red background, is one of the most recognizable cards in all of card collecting. It is also universally regarded as one of Ty Cobb's most famous and striking cards! The offered example is extremely pleasing, with a flawless image, bold colors, and perfect registration. The corners are evenly rounded and the image is well centered. Encapsulated Authentic by SGC due to being trimmed. 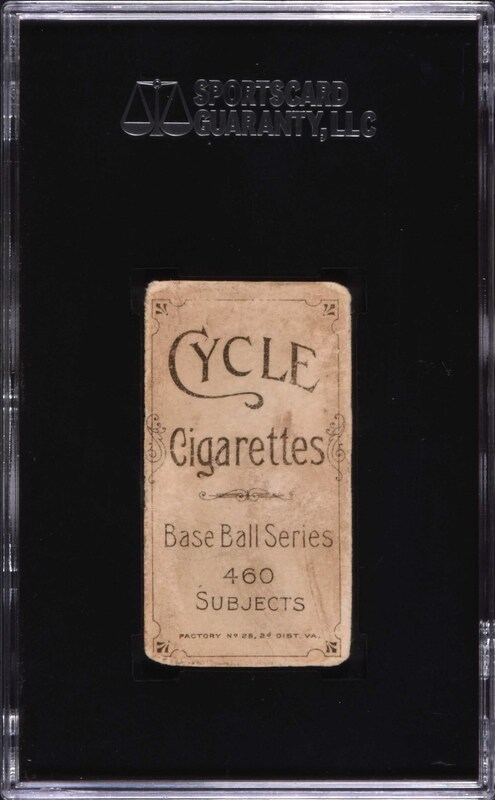 The important Cycle 460 advertising reverse is boldly printed and centered to the bottom left. This is very presentable scarce-back example of this classic Ty Cobb tobacco card, worthy of even the most advanced Ty Cobb, Hall of Fame, or T206-back collection. Reserve $500. Estimate (open).